This book describes a system of successful classroom behaviour management techniques developed by the author over more than twenty-five years. It outlines the difficulties confronting teachers trying to manage pupils’ misbehaviour in schools and describes four types of pupil who can be helped to behave responsibly. In Understanding Pupil Behaviour Ramon Lewis explains how pupils’ behaviour can be categorised and how techniques can be introduced to deal with each category, however challenging the behaviour might be. The book goes on to provide a framework for long-term commitment by teachers to produce effective interactions with students. 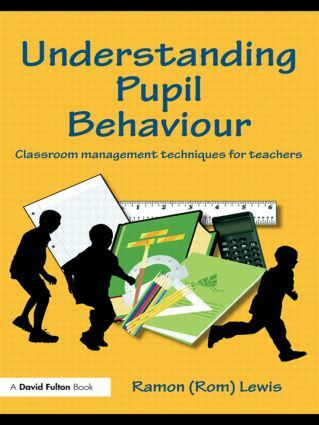 Teachers, PGCE students and educational advisors looking for a handy guide to tried-and-tested behaviour management strategies, as well as those wanting a resource for delivering INSET training on the subject, will find all they need in this accessible book.